It’s no secret that a healthy diet contributes to a healthy body, but eating nutritious foods can also lower the risk of cognitive decline as we age. A team of researchers recently found that elderly people who consumed the most nutritious food lowered their risk of cognitive decline by nearly 25 percent, compared to those with the least healthy diets. “It is likely that a healthy diet has effects on cardiovascular risk factors and cardiovascular disease, and that this is an important mechanism for reducing the risk of cognitive decline,” said the study’s lead author, Andrew Smyth, a researcher at the Population Health Research Institute at McMaster University in Ontario and the HRB Clinical Research Facility Galway at the National University of Ireland in Galway. So what foods make up a healthy brain diet? Below is a list of the top brain power foods – in no particular order – that can improve mental health, especially for seniors who want to ward off cognitive decline. Studies show that substituting salmon for meat a couple times per week can slow mental degeneration. Salmon – and other cold-water fishes like tuna, sardines, and halibut – contain high amounts of omega-3 fatty acids like docosahexaenoic acid (DHA). “DHA is the most abundant fatty acid in the brain. It makes sense that if you have higher levels of DHA in the blood, then the brain will operate more efficiently,” said Andrea Giancoli, registered dietitian and past Academy of Nutrition and Dietetics spokesperson. Low levels of omega-3 fatty acids in the blood have been linked to smaller brain volume and worse mental function performance. It’s no coincidence that these nuts look like tiny human brains. Walnuts are rich in vitamin E, which works to trap free radicals that can damage brain cells, according to the Alzheimer’s Research Center. A study by Rush University Medical Center found that people who eat foods with high levels of vitamin-E had a lower risk of developing Alzheimer’s. 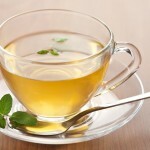 Green tea contains enzymes, amino acids, and vitamins that can help alleviate mental fatigue and boost brain function. It also contains an antioxidant called EGCG, which helps stop beta-amyloid proteins from harming brain cells, according to a study in the Journal of Biological Chemistry. The yolks are rich in choline, a nutrient the brain uses to make a neurotransmitter that may be vital to maintaining memory and communication among brain cells. A 10-year study by researchers at Boston University found that choline intake was associated with better performance on memory tests. Dr. Steven Pratt, author of Superfoods Rx: Fourteen Foods Proven to Change Your Life, calls them “brainberries.” He said animal studies have shown that blueberries help protect the brain from oxidative stress and may reduce the effects of dementia. Blueberries are also one of the only proven things to improve the loss of motor function as we age. A study by Tufts University and the USDA found that a diet rich in blueberries improved short term memory loss and reversed some loss of balance and coordination in aging rats. “I don’t think the avocado gets its due,” said Ann Kulze, author of Dr. Ann’s 10-Step Diet: A Simple Plan for Permanent Weight Loss & Lifelong Vitality. Though the avocado is a fatty fruit, it’s a monounsaturated fat, which contributes to healthy blood flow, Kulze said. “And healthy blood flow means a healthy brain,” she said. Avocados also lower blood pressure and reduce the risk of hypertension, which is a risk factor for cognitive decline. Spinach is an excellent source of folic acid, and studies show that eating spinach helps prevent dementia, especially in women. Spinach and other cruciferous vegetables – broccoli, cabbage, and dark, leafy greens – can help improve memory. Written by Taylor French, Amada Senior Care contributor.